A public list of GPs who are registered to provide medical abortions may be necessary to ensure women looking for a termination are not left confused about where to get the service, it emerged yesterday. Taoiseach Leo Varadkar reiterated that while GPs can have a conscientious objection to providing medical abortions, they will be ethically obliged to refer a woman to a doctor who is participating in the scheme. However, the National Association of General Practitioners has highlighted the objection to referring a woman on to a colleague which a minority of doctors with deeply held anti-abortion views will want to uphold. The Taoiseach said yesterday: "The legislation will provide for GPs to have a conscientious objection, but what we can't allow is the suggestion that a GP who doesn't provide the service would then refuse to refer their patient on to somebody who would. "Because essentially that is the equivalent of 'you're on your own love'; and we're not doing that in Ireland anymore." However, medical sources say the Government cannot afford to bring forward legislation which is not workable. 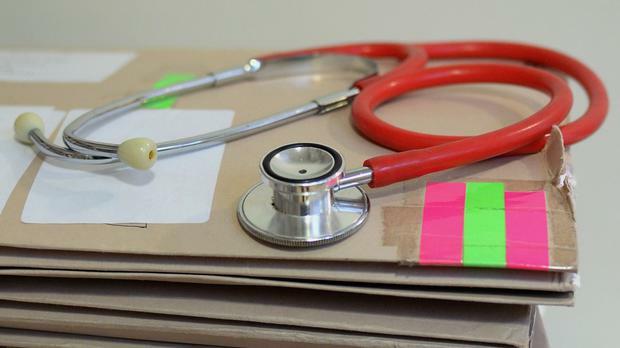 It is likely that the law will have to include practical measures to recognise the potential for GPs to object to referral, even though it contravenes Medical Council guidelines. This could lead to a public list of GPs becoming available to women but that is a double-edged sword for doctors who run the risk of being targeted by extreme anti-abortion protesters. Mr Varadkar said if around 60 GPs delivered the service it would be enough. Meanwhile, Darragh O'Loughlin, secretary general of the Irish Pharmacy Union, confirmed he has written to Health Minister Simon Harris to extend the right of conscientious objection to pharmacists who may not want to dispense abortion pills. "It is essential that such provisions be extended to all healthcare professionals, including pharmacists, and not only to medical practitioners in order to ensure that individual practitioners would not be compelled to participate in a procedure to which they have fundamental religious or ethical objections." A code of conduct states that a "pharmacist who, for religious or ethical reasons, cannot provide a specific service to a patient must direct that patient to someone who will". This can involve delegating dispensing to another colleague in the pharmacy or referring the woman to another premises. "We are talking about conscientious objection, not conscientious obstruction," he added. The likelihood is that women who have a medical abortion will be able to avail of the two medicines at the GP surgery and will not need to get a prescription filled by a pharmacist. Mr O'Loughlin said: "We are still waiting for detailed proposals. "We contacted our colleagues in Germany, Spain and Portugal for insight because those three countries were referenced by the minister recently. "Broadly speaking, each of the three responses has indicated that the pills and the service are provided in hospitals or specialist clinics, rather than in a community setting."